Lisa and Scott Norman are USA-Expats living in Costa Rica who want to share their stories with others who are visiting and/or considering a move to Costa Rica. They have experienced the highs and the lows of making a big move and will continue writing about their experiences here, on their Costa Rica Living Blog. Osa Property Management has provided them a platform for them to share their experiences in an unbiased, and personal, way. The following post will provide a little about their background and what made them ultimately choose to move to Costa Rica. 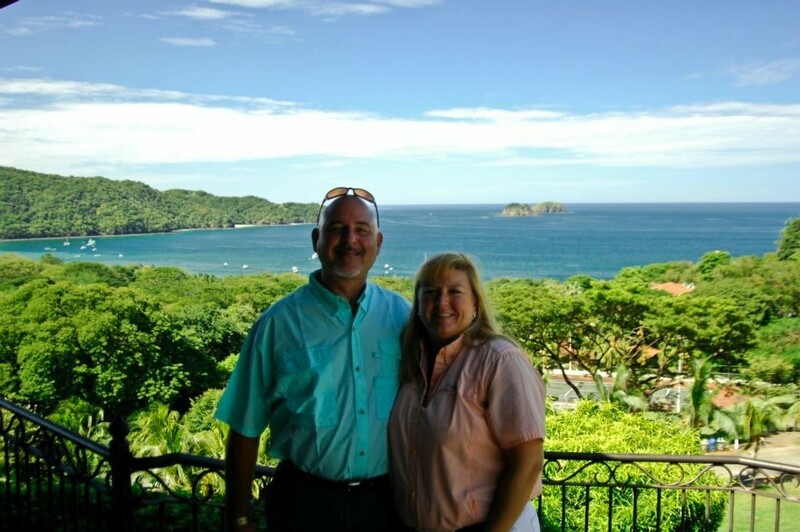 Enjoy getting to know the people behind the Costa Rica Living Blog - Lisa & Scott Norman! Scott grew up in Illinois, after attending college he began working in sales. He first started at a automotive dealership as a salesman and over many years moved up to Vice President of the dealership. As time went by, Scott decided it was time for a move to warmer temperatures. He always loved visiting the beaches of the gulf coast and decided Panama City Beach, Florida was the place for him. 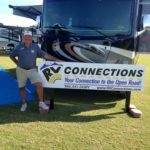 With his many years of sales experience, Scott quickly landed a job selling yachts and sport yachts for the largest boat/yacht dealership in Panama City Beach. Although Scott loved being around the yachts and especially the sea trials he decided it was time for his sales experience to go towards a new direction. Scott had been introduced to a recreational vehicle dealer that was looking for an experienced salesman and Scott was just the man for the job. 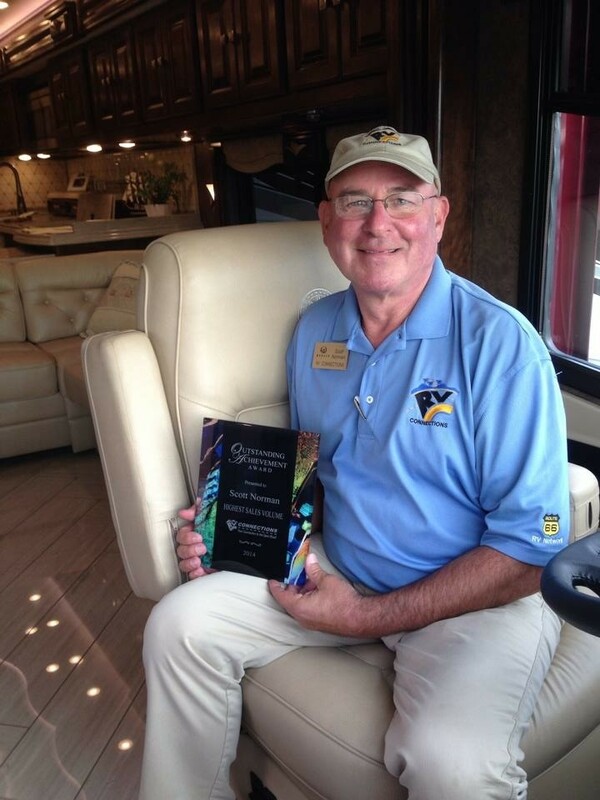 Scott continued the rest of his career in the RV sales business and became the 'go-to-man' for Tiffin Motorhomes. Lisa was born in Florida, but grew up in the southern area of Birmingham, Alabama. After graduating from the University of Alabama with her degree in Graphic Design and Photography, Lisa moved just a little north of her hometown where she landed a job in graphic design. After three years, Lisa was ready to spread her wings and really wanted to move to Panama City Beach, Florida where she vacationed with her family. Lisa was thrilled to find her 'dream job' and she moved to Panama City in November 1992 and started working as a graphic artist and photographer for a contractor on Tyndall Air Force Base. Over the years Lisa became the main photographer on base, she documented all types of events to include: award ceremonies, graduations, change of command ceremonies, retirements as well as day to day activities all over the base and on the flightline. She also shared the responsibility of on-call alert photographer for all after-hour emergencies. Lisa made many wonderful friends while working on base and spent many weekends SCUBA diving and spearfishing with the Tyndall Dive club. Lisa spent a total of 21 years working at the base, starting off in the staff positions and moved her way up to assistant manager and finally Contract Manager for the Multimedia Center at Tyndall Air Force Base. Lisa had the opportunity to photograph two Presidential visits as well as numerous other distinguished visitors over her many years on the job. 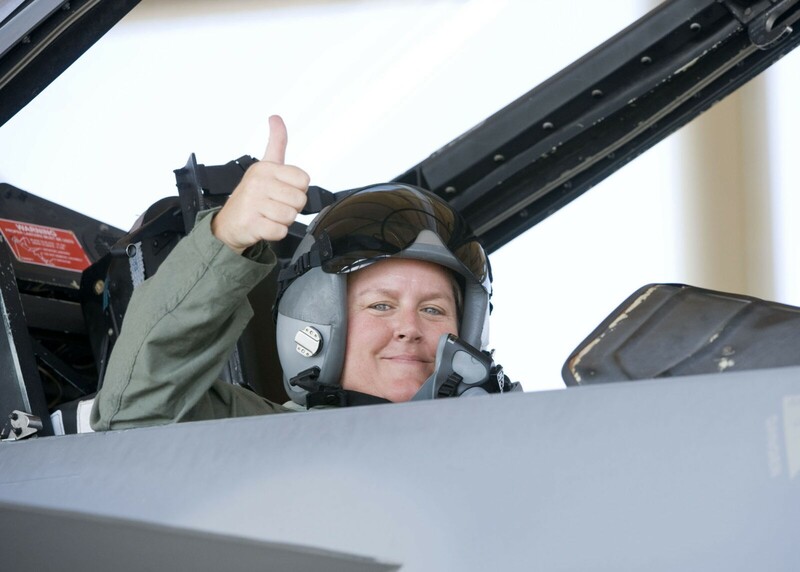 For all her years of hard work, the wing commander awarded Lisa the a flight in one of the base's F-15 Fighter Jets. Many years later, Tyndall AFB changed from a training base to a combat base and, unfortunately for Lisa and her staff, at the end of 2013 most contractor positions were replaced by active duty personnel. Her dream job of 21 years had come to an unexpected end. 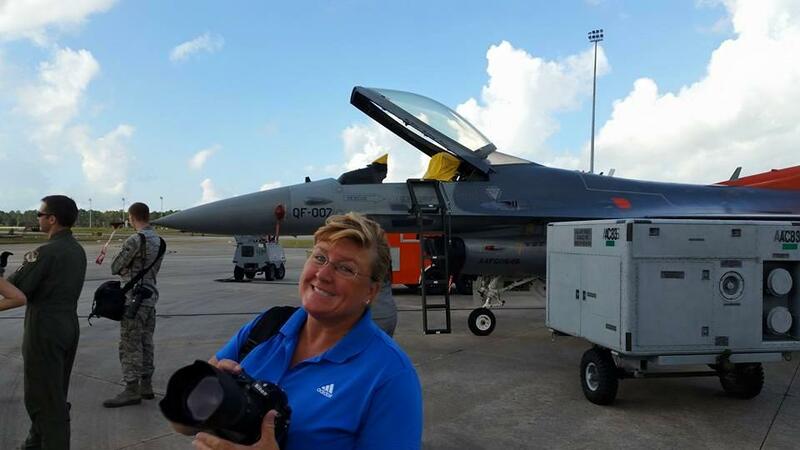 After years of photographing F15 fighter jets, Lisa was awarded a flight of her own. Scott and Lisa met in 2002 and later married in 2004. They both love the Panama City, Florida, USA, area and the beaches of the gulf coast. 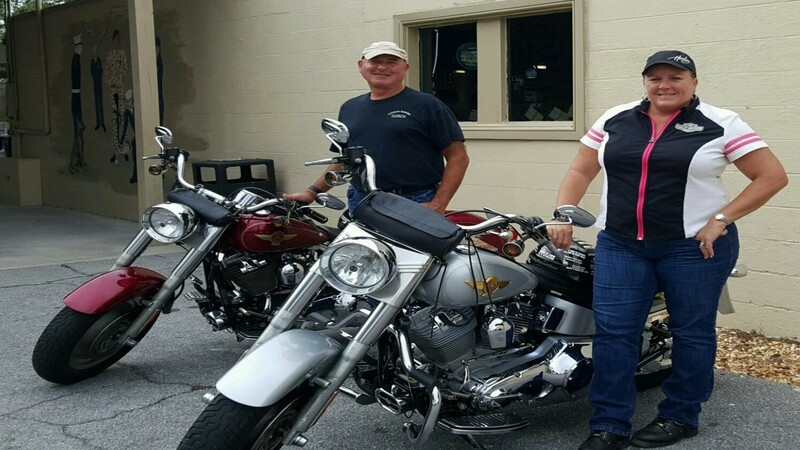 Both Lisa and Scott were very busy with their careers, and they spent most of their free on their boat with friends at Shell Island or riding their Harley Davidson motorcycle with friends. 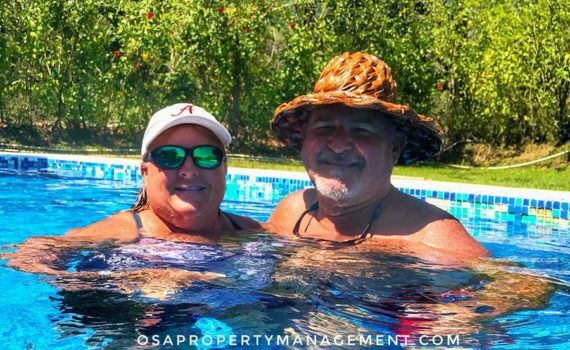 Scott & Lisa enjoying an afternoon during their "Harley Years"
In 2017, Scott was eligible for retirement and they decided it was time to sell everything and move to Costa Rica. Since they arrived in Costa Rica, these Retire in Costa Rica Bloggers have learned many things; from opening a bank account to buying a car and eventually getting their Costa Rica residency. Keep following the Costa Rica Living Blog here at Osa Property Management to learn from their experiences.